Microsoft has today announced that they have completed the roll out and integration of Skype into their Outlook contact and communications software. Mircosoft Outlook users will now no longer have to switch between the two applications when wanting to use Skype or Outlook, and the features is now live in U.S., Canada, France, Germany, Brazil, and the UK. The addition of the Skype Outlook features makes it easier for users to jump from a video conversation to email and vice-versa. Outlook could only previously only import Skype contacts, but now it has the ability to make full fledged video calls to your contacts with ease. “We believe that your email should work with things you already use. Outlook.com already connects with your Facebook, Skype, and Google friends. Now that you can make Skype video calls from Outlook.com, it’s even easier to stay connected to the people you care about most. 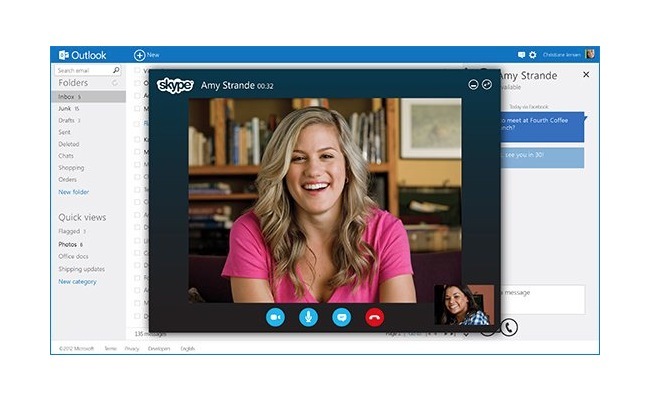 For more information on the new Skype Outlook integration jump over to the Microsoft announcement website for details.